Eye Am Photography is giving away a free newborn session. The winner will receive a newborn session at no charge in their home or in my studio in Richmond Hill, just 1/2 north of Toronto. The winner will also receive a $50 print credit to use towards prints or digital files. The total value of the contest is $300. To enter the contest, please email me at anne@eyeamphotography.com with your name, address and expected due date. The winner will be chosen on June 24th with a post on my blog as well as an email. Thanks and good luck to everyone who enters. Here are some sweet little sisters. 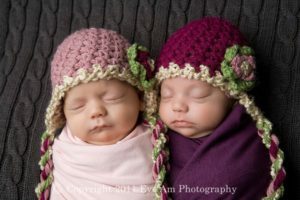 And just because twins are twice the fun, if you are expecting twins then you will receive 2 entries for the contest. 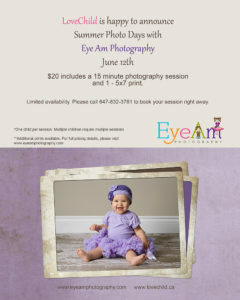 Eye Am Photography and Love Child have partnered together to bring to you Summer Photo Days. 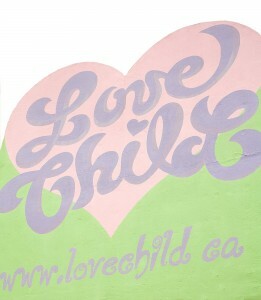 These are special photo sessions that will take place in the Love Child Store at Yonge and Eglinton in Toronto. Each child will receive a 15 minute session which includes a 5×7 print. The cost for the session is $20 plus HST. This is a great opportunity to get a photography session for you baby or young child. All details are below. Here are some pictures of the store to give you a bit of a taste. And of course I have to include some pictures of one of my favourite models wearing a gorgeous dress from the store. This dress is super comfy and so pretty and twirly. I am just thrilled to announce that Eye Am Photography won the Reader’s Choice award for Best Photography Studio in Richmond Hill. Thank you so much too all my clients who voted for me. Eye Am Photography is a Custom Photography Studio located in Richmond Hill. Not only do we do studio work in the Richmond Hill studio but the studio can be brought on location to you and set up in your home. Right now the weather is so beautiful that it is a great time for outdoor sessions. There are several locations around Richmond Hill, Aurora, King City, Newmarket, Markham and Toronto. The summer books up really fast and the fall is even busier. If you are looking to get outdoor portraits of your family, children or baby call the studio at 905-882-1459 to book your session. The May special is still going and ends soon. There are still a couple of spots left for May so don’t miss the opportunity to get your session at half price. And here is a super cutie pie from Stouffville who was just super sweet and the best little model. I remember being very excited about my first mother’s day. Six years later I am still very happy when I think of mother’s day. It is a day that I remember how wonderful it is to be a mother. How wonderful it is to be loved unconditionally by a little person and to love them in a way that is indescribable. It is a day that I spend enjoying my family. Mother’s day is coming up soon and to celebrate mothers everywhere Eye Am Photography is having a special. Or rather a couple of specials. The first photography special is for women who are pregnant and are about to become mothers. From now until the end of May I am offering a free mini maternity session when a newborn session is purchased. 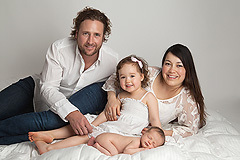 The second photography special is for women who have babies or children. For all sessions booked by the end of May you will receive 50% off the session fee. The session does not have to take place in May but must be booked before the end of May. 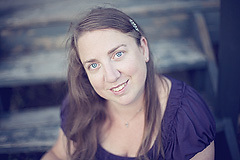 Eye Am Photography also offers gift certificates which can make a great gift for Mother’s day. All gift certificates are completely customized to suit your specific photographic needs. Please call the studio at 905-882-1459 to book your session or arrange for a gift certificate. And of course, I can’t post without showing a picture. This is a gorgeous newborn little man from Newmarket that I had the pleasure of photographing. I’m looking forward to photographing him and his brother outdoors when the weather warms up. I adore puppies. I rarely get to play with puppies so this really was a special treat for me. This beautiful golden retriever puppy was a photogenic beauty. It did take a couple hours of playing to get her all tuckered out and then she slept through her session just like any newborn. She let me pose her and move her from basket to basket and just kept sleeping. Eye Am Photography photographs pets in the York Region and Toronto areas. I will be adding a new pet section to my website soon and would love some new furry faces. If you are interested in booking a session for your pet I am offering a $100 print credit and 15% off desk/gift prints. This applies to new sessions only. Sessions must be booked by April 30th to qualify for the discount. A signed model release is required for the discounted session. Dog Photography sessions can take place in the studio, on location in your home (lifestyle sessions) or outdoors once the weather is nicer. And of course I had to show some images from my favourite puppy photography session. This precious pooch really captured my heart. Who can resist all this fuzzy cuteness? What a sweet little face?